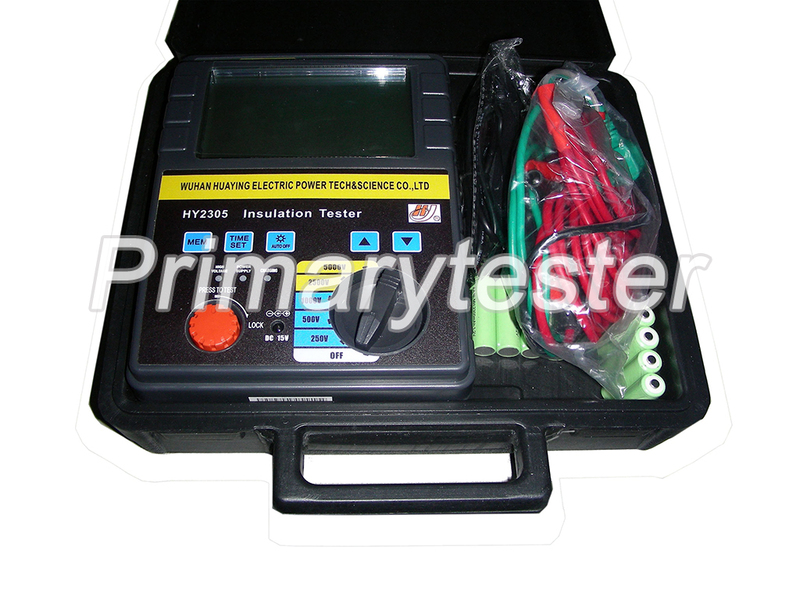 The instrument is the commonly used and essential instruments for the electricity, post and telecommunications, communications, electrical and mechanical installation and maintenance, and the use of electricity as industrial power or energy industrial enterprises. 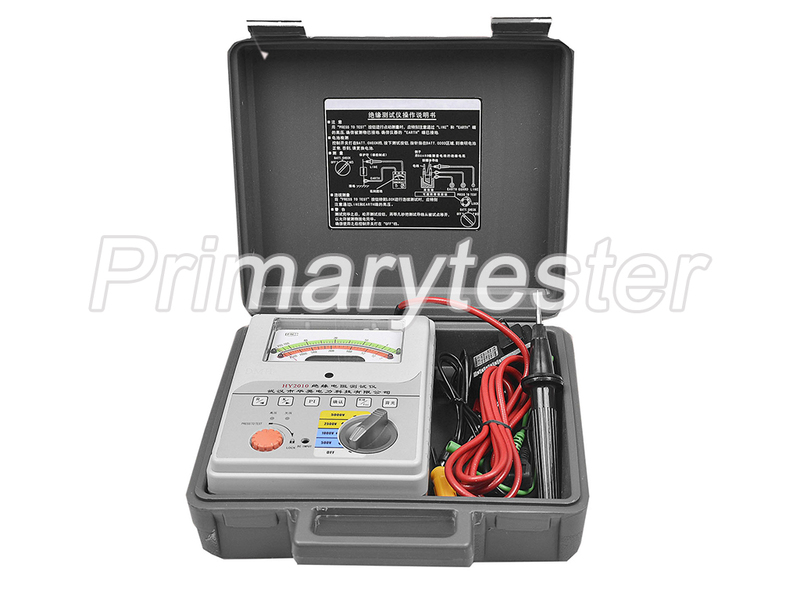 It is suitable for measuring the insulation resistance of various insulating materials and transformers, motors, cables and electrical equipment. 1. High output power, strong load capacity, strong anti-interference ability. 2. The instrument consists of high-strength aluminum alloy. 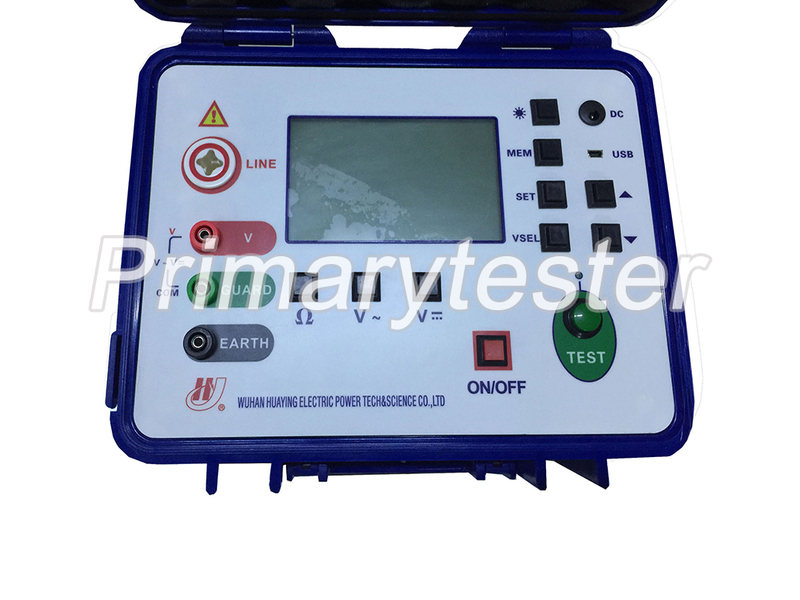 It is equipped with equipotential protection ring and fourth-order active low-pass filter, which can play an effective shielding effect for the external power frequency and strong electromagnetic field. 3. 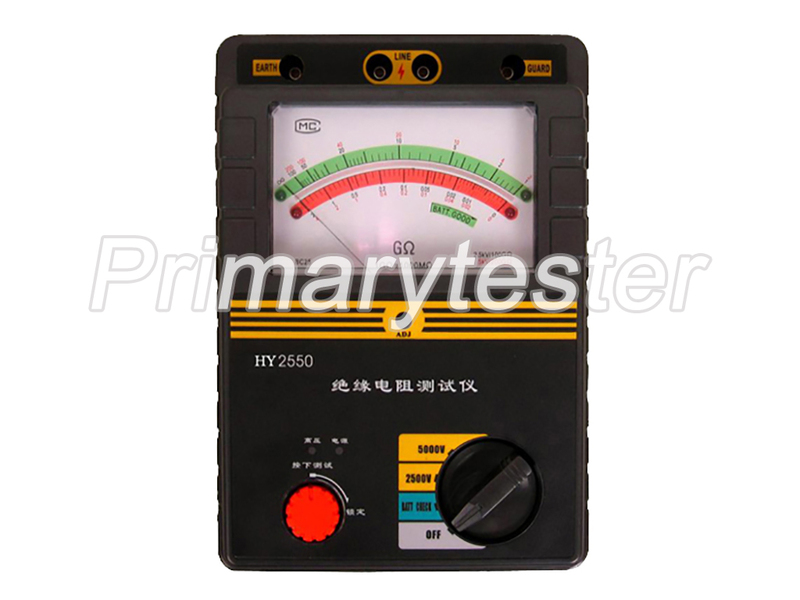 For capacitive test measurements, due to the output short-circuit current is greater than 1.6mA, it is easy to make the test voltage quickly rise to the output rating voltage. 4. 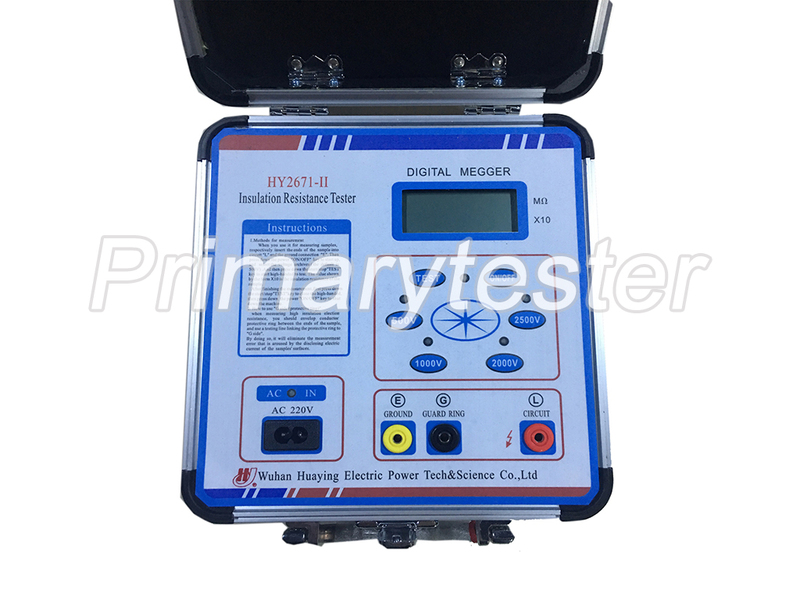 For low resistance measurements, due to the use of proportional method design, the voltage drop does not affect the test accuracy. 5. The instrument does not require human work. 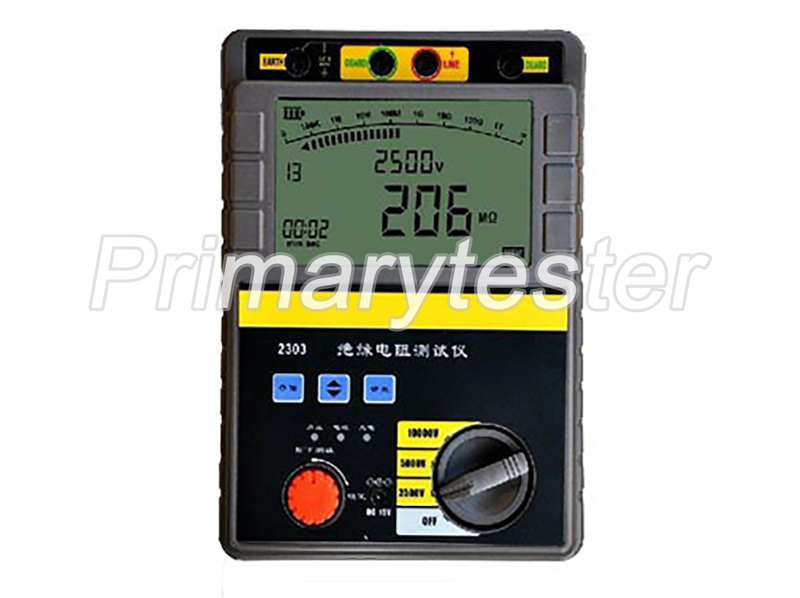 It is powered by the battery, and the range can be automatically converted. 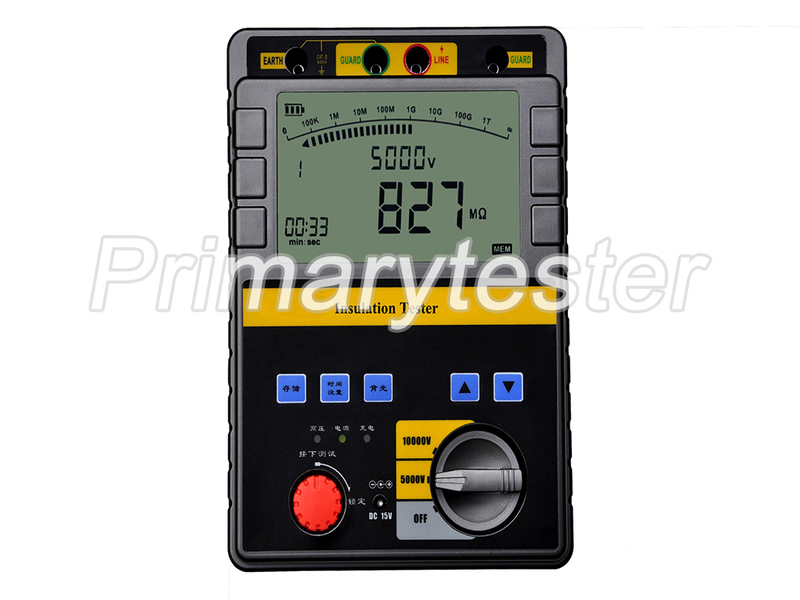 A clear panel operation and LCD display makes the measurement very convenient and quick. 6. 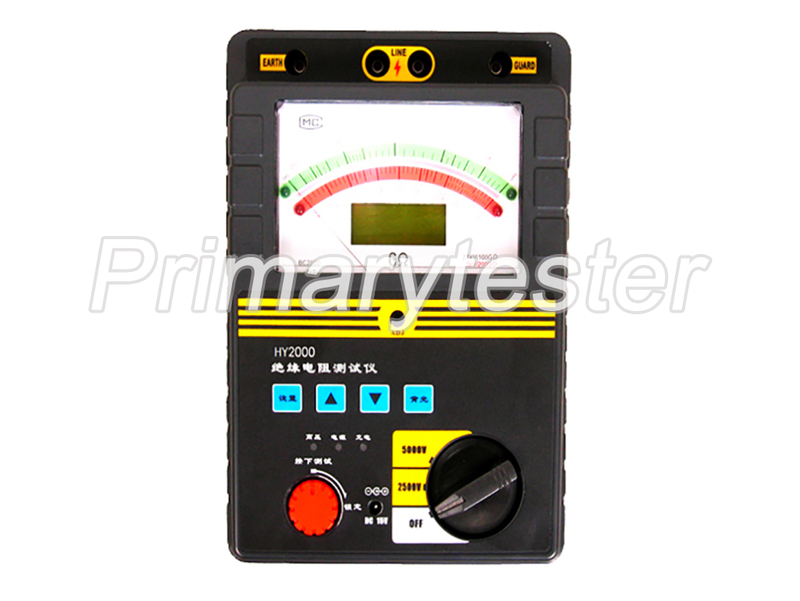 The output short circuit current can be measured directly, and it does not need to estimate with load measurement. 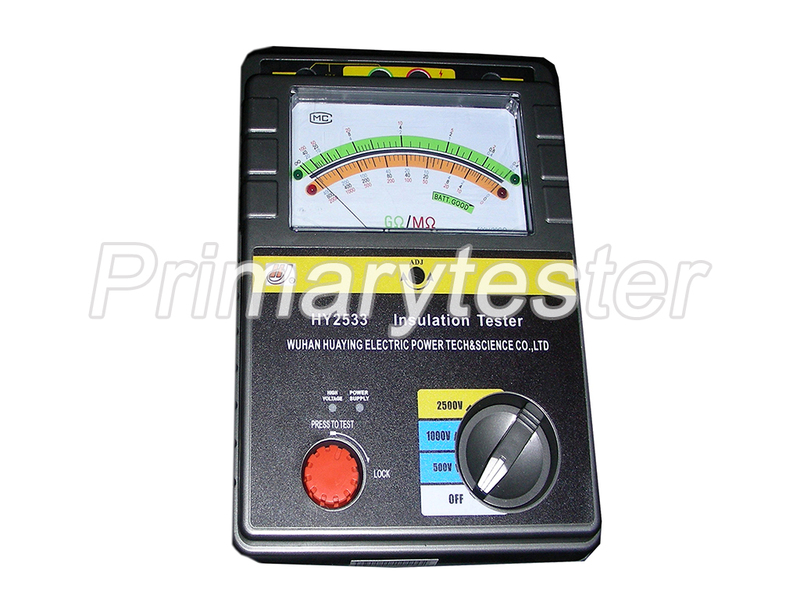 DC: 7 ~ 9V (7 5 # rechargeable battery pack) external AC 220V power supply for charging.